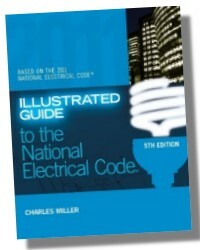 Providing a unique approach to learning the Code, the Illustrated Guide to the NEC uses highly detailed, technically accurate illustrations and visuals to break down and simplify the expanding volume and complexity of the 2008 National Electrical Code. Material is organized logically, covering fundamental provisions first, and then grouping code requirements by the type of occupancy, beginning with one-family dwellings, and progressing on to multi-family, commercial locations, and special occupancies. 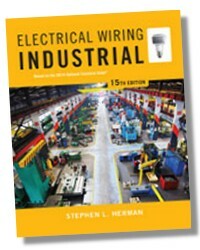 This organization is not only logical but also reflects how information is needed when working in the electrical industry, better preparing readers for the real world. Its comprehensive coverage, innovative learning approach, and industry-based organization make this an indispensable supplement to the NEC, whether users need information on a specific area, or need to learn the Code from cover to cover. New full color format helps students better understand the concepts presented. 480 Pages - 8-1/2 x 11 in. Charles Miller: For eighteen years Charles R. Miller owned and operated a successful commercial electrical contracting company (Lighthouse Electric Co., Inc.) in Nashville, Tennessee. In 1988 he began, and continues to operate, a second company dedicated to electrical related training, known as Lighthouse Educational Services. 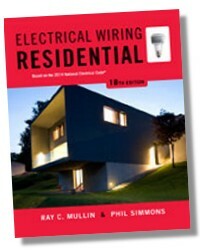 Mr. Miller teaches custom tailored classes and seminars covering various aspects of the electrical industry. Class and seminar attendees have spanned the globe, bringing to each session immensely diverse backgrounds. Such diversity requires and receives a unique teaching approach to guarantee that all students within a class are afforded an equal opportunity to learn. Individuals employed by companies such as Ford, Textron, The Aerostructures Corporation, Aladdin Industries; by academic institutions such as Tennessee State and Vanderbilt Universities; and governmental agencies including NASA and even Nashville's own Electrical Inspection and Codes Department, have attended and praised the curriculum offered by Lighthouse Educational Services. 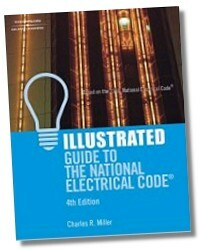 In 1999, Charlie wrote and illustrated a nationally published text book on the NEC® titled Illustrated Guide to the National Electrical Code®. In 2000, he started writing and illustrating a monthly column in the electrical industry's top magazine. 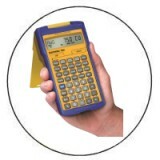 In 2001, Charles R. Miller was contracted by NFPA to write two pocket guides to the NEC®. 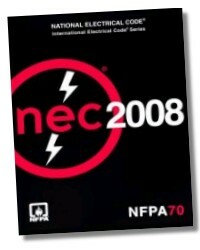 Both books are titled Pocket Guide to Electrical Installations Under NEC 2002. Currently, besides his writing and illustrating, Charles is a co-host for a home improvement radio show in Nashville, Tennessee. The two-hour show airs every Saturday morning.